In Rock of Ages, we’re going back to a sexier time — The Reagan Era — where the party has been raging hard in Hollywood. There, at one of the Sunset Strip’s last legendary rock venues, the liquor flows freely, the Lycra is tight and the Aqua Net is in abundance. Purchase hot-selling tickets to this event. Amidst the madness, aspiring rock star (and perspiring janitor) Drew longs to become the next David Lee Roth. But when he falls for a small-town girl, will the good times come to an end? One of the longest-running shows in recent Broadway history, the Tony-nominated Rock of Ages features 28 eyebrow-scorching hits from Styx, Poison and many other monster bands of the ’80s. 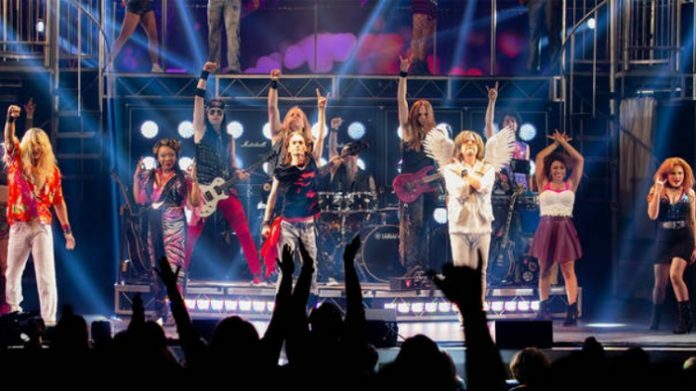 Score tickets with this special offer and get ready to rock out at the James M. Nederlander Theatre in Chicago.